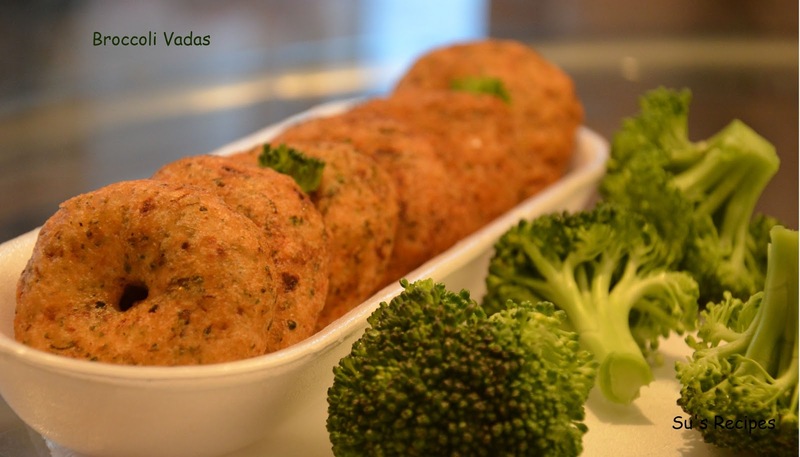 Broccoli Vadas are a great appetizer and can be introduced to the kids as well, as it has a lot of health benefits. Broccoli, as a vegetable is usually steamed or boiled, and used for soups and salads. But this dish is something above all these, incorporating the vegetable with the lentils (black gram) and making it more nutritious. 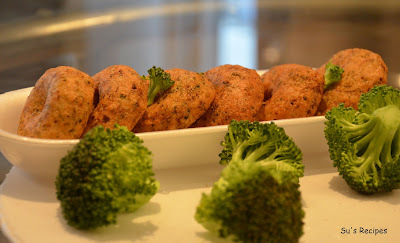 This ritzy Broccoli Vadas will wow! your family and friends, because of the simplicity of very few ingredients that go into making this dish delicious. 3. Pepper - 8 to 10 nos. 1. Clean and soak the black gram (urad dal) for apprimately 3 hours. 2. Crush the whole peppers coarsely and keep aside. 3. Grate the broccoli finely and keep this too aside. 4. Now grind the urad dal into a really fine paste adding salt. Let the batter not be too very watery. You can refer to the vadas, I had blogged previously. 5. 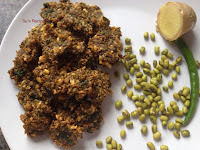 Once the urad dal is grinded to a fine paste, mix pepper and grated broccoli to this. Mix the batter well so that the batter become light and vadas will turn our fluffy. 6. Heat sufficient oil in the deep frying pan. 7. Take small lemon size batter at a time and make a round shape and give it a pat. 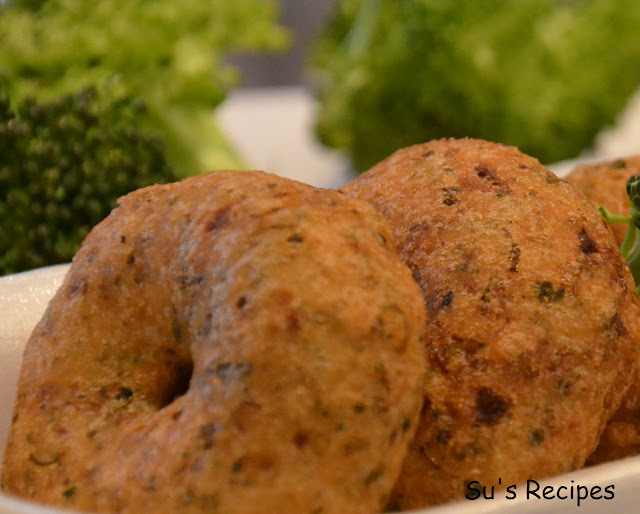 You can also make a hole in the middle for even frying, like I showed it while making vadas. 8. Fry the vadas both sides in low to medium flame turning it gently. 9. 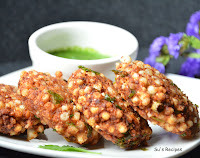 Remove the vadas on a kitchen paper towel and relish this alone or with a tomato sauce. You can also enjoy the dish with any dip of your choice.